The 310 Sundancer helps you win the weekend back with smooth, effortless performance, expertly appointed surfaces and the freedom to go anywhere you choose. From the reversible double helm seat and fold-down sun pad to the convertible V-berth and double bunk, each space is dedicated to the comfort of you and your guests. Greet Monday with the refreshed perspective that only a dreamlike escape on the water can provide. The 310 Sundancer combines incredible precision and premium power, courtesy of twin sterndrives for efficient cruising and available Axius joystick control for precise handling at slower speeds. Docking and close-quarters maneuvering are now easier. Get out on the open water sooner and with no stress, no matter your boating experience. The 310 Sundancer’s varied social zones allow you to enjoy the day from many beautiful vantage points. 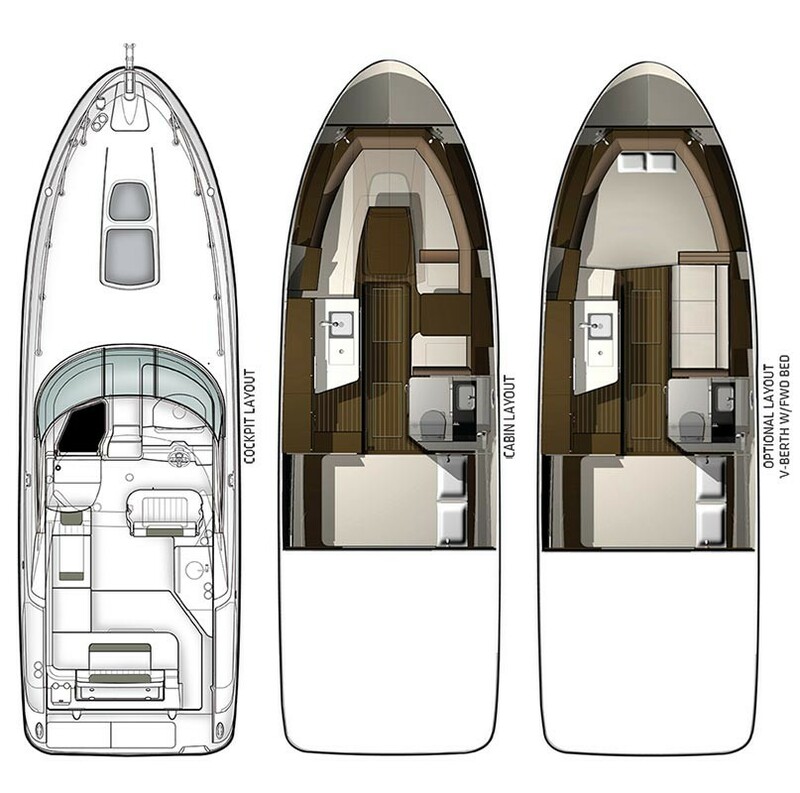 Stepping from the wide swim platform to the cockpit is a breeze, and a sturdy walk-through windshield allows easy access to the foredeck area from the cockpit, so you and your guests’ on-water memories always come from the perfect point of view.